Teeth — what are they? Aside from the obvious differences in size, shape and color, teeth have a very rich complex neuronal network (brain interconnections). It turns out that this simple question about what teeth are has a very complex answer. We all view teeth differently, depending on our upbringing and point of view. Some people view teeth purely from a utilitarian perspective — in other words, how they function for the person to eat and live. Others view teeth as an object of beauty, a part of one’s persona and light in the world. You could not ask those folks to give up a front tooth for any sum of money. Teeth represent both of these aspects in the outer world, but what about one’s inner world? Aside from the obvious differences in size, shape and color, teeth have a very rich complex neuronal network (brain interconnections). They are so sensitive that one can detect objects thinner than a hair or the skin of a pea between the teeth (about 3 microns thick or 3/1000 of an inch). This is one reason why dentists can have a tough time adjusting your bite after a filling or crown is placed in or on a tooth. This complex network is extensive and life protective. 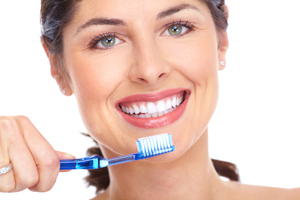 Consider that, in ill health, your teeth are often the last part of the body to deteriorate. The little front teeth are most often the last teeth to be lost. Teeth are a part of your body’s balancing mechanism; they are tied in with the inner ear for keeping you on the straight and level. The body wants to keep your eyes on the horizon and your teeth in close striking distance from the top teeth to the bottom teeth. When there is a mismatch in that system, you can suffer inner ear disturbances in the form of vertigo or tinnitus. This gets exacerbated when you lose a molar tooth and the teeth have shifted and drifted into a place that upsets the balance. Then you have to compensate for the imbalance. When you can no longer accommodate it, symptoms begin to show up. I mentioned that the lower front teeth are often the last ones to deteriorate. This is usually because the way that they are hard wired for sensory input makes them particularly sensitive to a lateral load. They do not like a lateral load and will send a signal to the brain that tells the muscles to avoid this lateral load and move the jaw slightly so that it does not occur. This form of accommodation is often the root cause (pardon the pun) of what is called myofascial pain dysfunction syndrome, also known as TMJ dysfunction. This can cause a lifetime of illness and misery. I have treated many people who were suicidal over the pain they have experienced from this. There are many causes of this dysfunction. A qualified and experienced dentist who treats this malady is extremely valuable for proper diagnosis and treatment. Be aware that there are many philosophies of care, and although many practitioners will use similar words and concepts, the road to get to a positive clinical outcome can be circuitous. Nicholas Meyer, D.D.S., D.N.M., is a general dentist in Scottsdale, Ariz., who has a special interest in developmental disturbances of the facial complex that contribute to such maladies as TMJ, snoring and sleep apnea. milldental.com, DrMeyer@milldental.com or 480-948-0560. Reprinted from AzNetNews, Volume 34, Number 3, June/July 2015.